This is the 6th gathering held in 22nd Gathering Kamianets-Podilskyi, Ukraine. 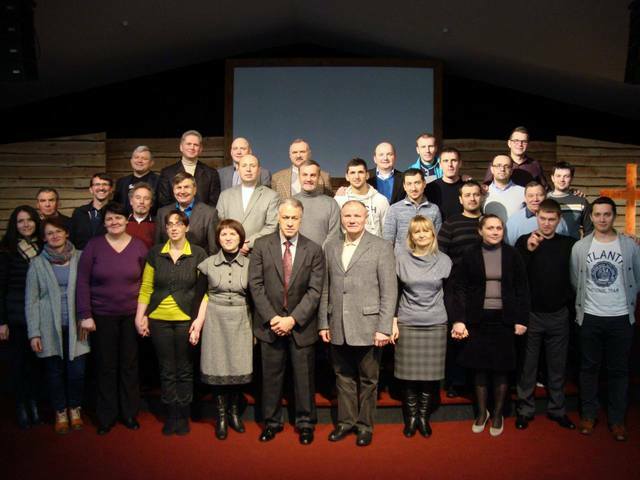 Leaders from Eastern Ukraine, Germany, and many other parts of Europe gathered for this fasting and prayer meeting. We are so blessed that the work God started is continuing to move forward! I have just returned from Kamenets-Podolskiy, Ukraine where we met for our 16th fasting and prayer gathering. All agreed we were there at exactly the right time. While the world's attention has turned to Ukraine, Heaven's eyes are upon His church as He prepares and positions the Pentecostal Church there to rise to this great challenge. We were met by a people that were stirred and focused on advancing the Kingdom of God. People from all over Ukraine and several other countries gathered to believe God. The Bishop and the host church were very thankful for the stirring of the Holy Ghost. God moved powerfully as He ignited a cry in the hearts of the people. All four services Saturday and Sunday were powerful as God spoke to us about being an “Overcomer” in these last days. God will have a people that will bring to a climax his final testimony. I witnessed those overcomers rising up as we fasted and prayed. My wife, Beth and daughter, Christian, will be leaving for Ukraine April 9th for six days. 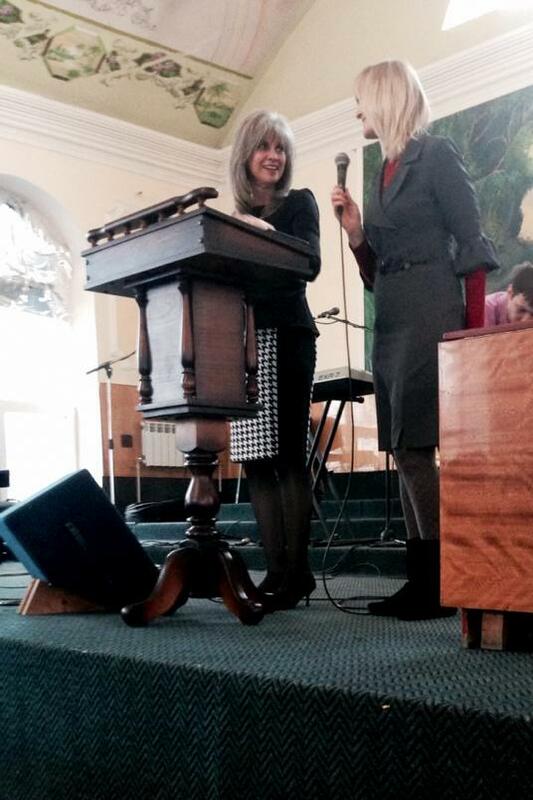 Beth will be ministering in the same region where we held the gathering in three different cities. Please pray for her as God has opened these doors to advance this great vision. This is her 3rd trip into Ukraine. God has given her a word for these last days as He prepares His church to usher in the coming of Christ. I leave for Poland April 24th to once again fast and pray. We are expecting great things as people from all across Poland will gather in Lezno. Please join us in these days April 26th – May 2nd. Thank you for your prayers and support. God bless you as we advance His Kingdom together. Mrs. Beth, her daughter Christian, and a close friend are home safe and sound from their 6 day trip to Ukraine. They were all very blessed by the great hospitality they received and also by what God did in the Women's conference. God was so faithful! Please take time to listen to the report shared by Mrs. Beth is her home church after arriving home in the USA. Click on the link above. Read September's Newsletter with updates and praise report from Ukraine. European Photo Galleries - View some pictures from the past gatherings. Hudson Taylor, British missionary to China and founder of China Inland Mission, was on furlough to England, in 1889. As he was preaching, he suddenly stopped and stood speechless. When he began to speak again, he explained: "I have seen a vision. I saw in this vision a great war that encompasses the world. I saw this war recess and then start again, actually begin two wars. After this I saw much unrest and revolts that will affect many nations. I saw in some places spiritual awakenings." "In Russia I saw there will come a general all encompassing, national spiritual awakening, so great that there could never be another like it. From Russia, I saw the awakening spread to many European countries. Then I saw an all-out awakening followed by the second coming of Christ." Brother Clendennen is the founder of School of Christ International - now with students in over 150 countries of the world. Saved in 1949, he soon felt the call of God to set out as an itinerant evangelist. In 1956 he planted a great missionary church which he pastored for the next 35 years. Over the years he has ministered by radio, television and books but above all else by "Going." 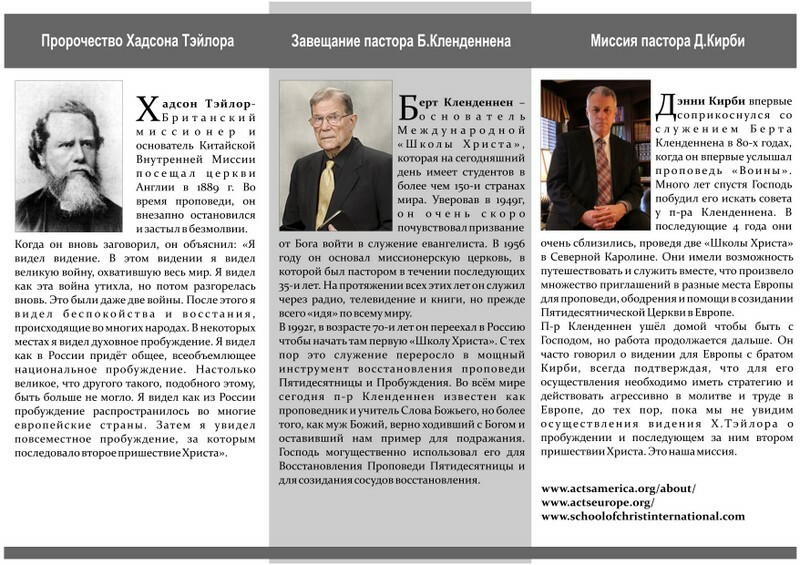 In 1992 at the age of 70 he moved to Russia to begin the first School of Christ. 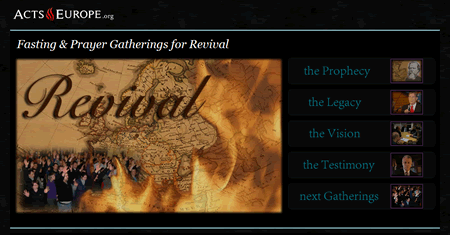 Since then, this work has grown amazingly as a tool of pentecostal recovery and revival. Around the world he is known as a preacher and teacher of the Word of God, but more than that, as a man of God who walked with God faithfully leaving us an example to follow. The Lord used him mightily to Restore the Message of Pentecost, and to raise up vessels of recovery. Pastor Kirby was first introduced to the ministry of Pastor Clendennen in the 80's when he heard the message Soldier's. Many years later, the Lord directed him to seek counsel from Brother Clendennen. Over the next 4 years they became quite close, holding 2 schools in North Carolina together. They were also able to travel and minister together, which has sparked many invitations from around Europe to preach, encourage, and help build up the Pentecostal Church in Europe. Pastor Clendennen has gone home to be with the Lord, but the work still remains. Pastor Clendennen spoke often to Pastor Kirby concerning the vision for Europe; that Pastor Kirby needed to have a strategy and to be aggressive in labor and prayer over Europe until we see the fulfillment of Hudson Taylor's Vision and Second Coming of Jesus Christ. That is our mission.